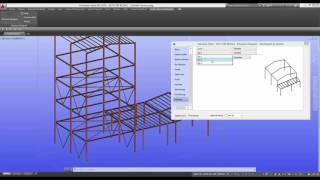 The Steel Structure Designer for Advance Steel, creates complete steel frame structures of varying size in minutes and now allows any configuration to be saved to a personal library for instant recall, dramatically reducing design and modelling time. From multi-story commercial buildings to industrial platforms, structures of all shapes and sizes can be easily configured, edited and saved for reuse saving immeasurable setting-out time. This is the Full version -12 month Desktop Subscription. A 5-day Free Trial version of this app is available on the Store here! Languages available on installation: English, French, Czech, German, Italian, Polish and Romanian. Multi-year, network and bulk subscription options available from GRAITEC direct: graitec.com/world. 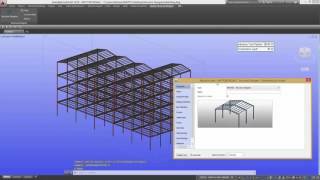 GRAITEC Steel Structure Designer creates complete steel frame buildings in minutes, and the new option to save your building designs to a library means you can now load an entire building in seconds and then simply fine tune for the next project. Manage levels, bays, a range of options to add platforms, bracings, side-rails and roof purlins (automatically adjusted along a curved roof), gable ends as well as openings for doors and windows. You can even apply cladding to fit the shape of you building trimmed around openings in a single click. The GRAITEC Steel Structure Designer is an essential tool for engineers and detailers looking to save hours (days perhaps) during the design process when creating any type of steel structure. 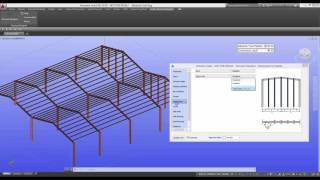 The Steel Structure Designer uses the range of Autodesk Advance Steel profiles library, including user sections and light-gauge (cold-formed) sections, making it possible to configure buildings to suit any requirement - making this a must-have tool for any busy Advance Steel office and instantly attractive to users across the globe. · New positioning option allows users to also create structural models with elements perfectly connected in nodes. · Save to Library – Pre-set building configurations are already defined and available at a click of a button. The save to Library option allows users to build custom libraries of completed building types that can be reproduced in seconds. Please visit our app web page for more information about GRAITEC Advance BIM Designers.